What is technology with intention? 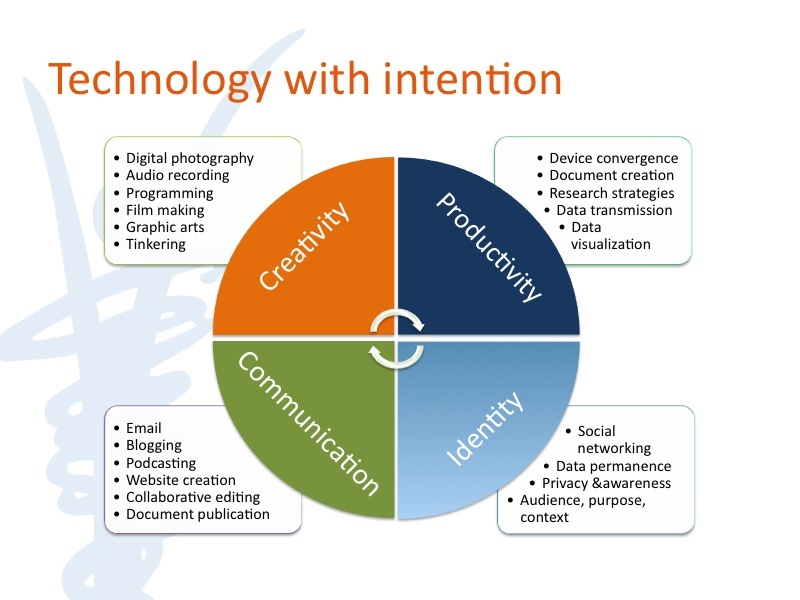 Technology with intention is a starting point for implementing tech solutions in the classroom. As schools search to keep curriculum relevant in an world where students are hyper-connected to information and each other, teachers and administrators often get stuck trying to find the why and how of tech adoption. It isn’t enough to mandate that teachers use technology, there must be a sufficient training and a clear transition plan from the way things were done to the way things could be done. 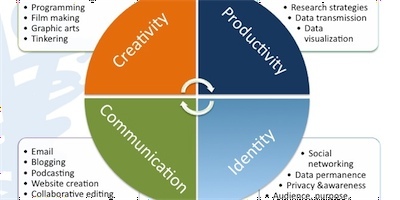 A well-rounded technology curriculum has to address the unique complexities of growing up digital and should leverage this generation’s technological fluency to create meaningful connections to self, environment, and each other. Nicely written and designed. I couldn’t agree with you more on using this generation’s technological fluency to connect. My pro-constructivist thoughts for connecting meaning know this to be true. Brain based research shows the brains of today’s generation develops differently due to all the technology; hence, we must allow learners those opportunities… which goes to your premise of having a well rounded technology curriculum. I’ll match that and raise the bar to go as far as saying it should be all curriculum addressing how to engage our learners. It should be so intertwined that we don’t notice the difference between content and technology. Thanks for finding me on Twitter. I’m looking forward to learning with you.